 The Energy Cooperative (TEC) is continually evaluating its cost to serve our members. This includes the total revenues needed, which fluctuate depending on the amount of energy used and the cost of generation, transmission, and delivery. Estimating the amount of energy that members use enables the Cooperative to determine what rates should be, which is reviewed annually. By monitoring our controllable expenses, we are able to provide affordable and reliable energy with cost-based rates. Your monthly energy bill has a lot of useful information. Our rates are unbundled in order to provide a better explanation of the costs the Cooperative is recovering each month. Generation & Transmission – This is the cost that TEC pays to Buckeye Power, our Generation & Transmission provider, to produce electric and transport it over the transmission lines. This cost is “passed through” to Cooperative members. kWh Tax – Consumption-based tax charged by the State of Ohio. Distribution Charge – Variable portion of cost incurred by TEC. Facilities Fees – Fixed portion of costs incurred by TEC. Gross Receipts Tax – A state tax based upon total charges billed. Infrastructure Replacement Rider – Cost to upgrade bare steel pipe to comply with safety standards. Dual-fueled members have both of these boxes. Total Charges for each service matches the front of the bill to the back. This clearly defines the multiple payment options available. * Both the Facilities Fee and Distribution Charge include the fixed cost of running the Cooperative, such as meter reading, billing, record keeping, replacing poles, power lines, and other equipment. This is also the cost to distribute electric to Cooperative members. This facilities fee will be applied each month, even though you may not consume natural gas or electric. By Mail: Use the return envelope provided with your monthly bill or address an envelope to: The Energy Cooperative, P.O. Box 740467, Cincinnati, Ohio, 45274-0467. By Telephone: Electronic checks, debit cards, Visa, MasterCard, Discover, and American Express credit cards are accepted through our automated payment system by calling (800) 255-6815. Online: Pay you bill with the SmartHub app or website. Allow two business days for your payment to post to your account. Automatic Withdrawal Bill Payment: Call (800) 255-6815 to set up automatic payments. In Person: Bills may be paid at the main office located at 1500 Granville Road, Newark, Ohio, Monday through Friday from 7:30 a.m. until 5:00 p.m. (except for holidays). At the Bank: You can pay your bill at several local banks. Questions? : Call member services at (800) 255-6815. There are programs that may help with your utility bills if you have financial hardship. Home Energy Assistance Program (HEAP) is a federally funded program to help eligible low-income Ohioans with their energy bill. HEAP puts a credit on your account each year. You may receive a voucher if you are a customer of a rural cooperative, municipal utility, use bulk fuel, or have a metered account. If a member is age 65 or older or a member is totally and permanently disabled, the household will be evaluated for an increased benefit. Call HEAP toll-free at 1-800-282-0880. The hearing-impaired with TDD call 1-800-686-1557. The Veterans Service Commission (VSC) provides financial help for overdue utility bills. Each county has a VSC that can provide assistance up to four times in a 12-month period. Eligible veterans must live in a county for 90 days. Otherwise, contact the previous county of residence. The VSC needs the applicant’s net income for the last 30 days, the overdue bills, and discharge or DD-214 papers. Widows or widowers bring their spouse’s discharge or DD-214 papers.